With Wolf Hall about to hit our screens this month, we reckon everyone is going to go a bit mad for anything Tudor. 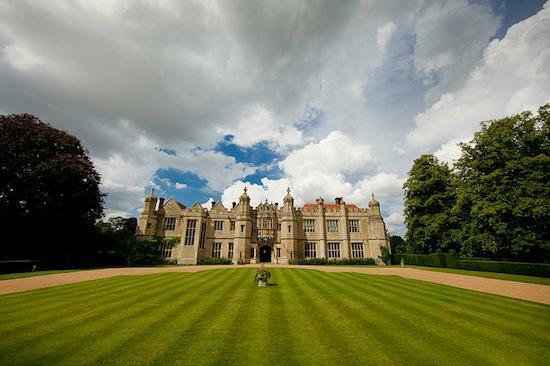 And you couldn't find a more perfect venue for courtly love than the historic Hengrave hall. Set within 350 acres of parkland and with sweeping lawns and meadows, a majestic lake, and its own idyllic chapel, the 500 year old mansion is truly breathtaking. Everything about it, from its spectacular pastoral setting to its grand halls and luxurious chambers, is guaranteed to create a romantic experience for the bride and groom that can only be described as truly unforgettable. Their next viewing day is in March so look out for that. They do also welcome couples for a private viewings if they want - either during the week or weekend. move over Downton Abbey styling….